From small 3D model of few streets in London to 30km2 3D model of Cambridge, we can assist. Simply draw an area on a map, send it to us and we will come back to you with a quote. Buy 3D Models in 1km2 or 0.25km2 tiles. Both Level 2 and Level 3 3D Models are manually captured from 2016 High-Res imagery. 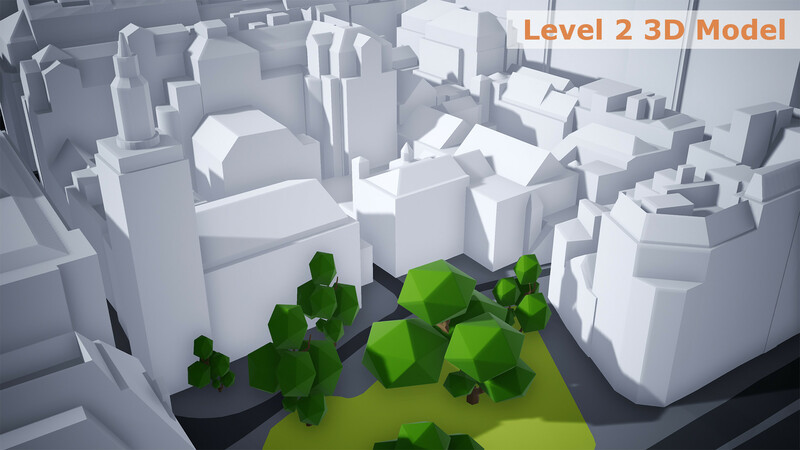 Level 2 3D Models are ideal for backgrounds, CGIs, flyovers, videogames and preliminary impact studies. 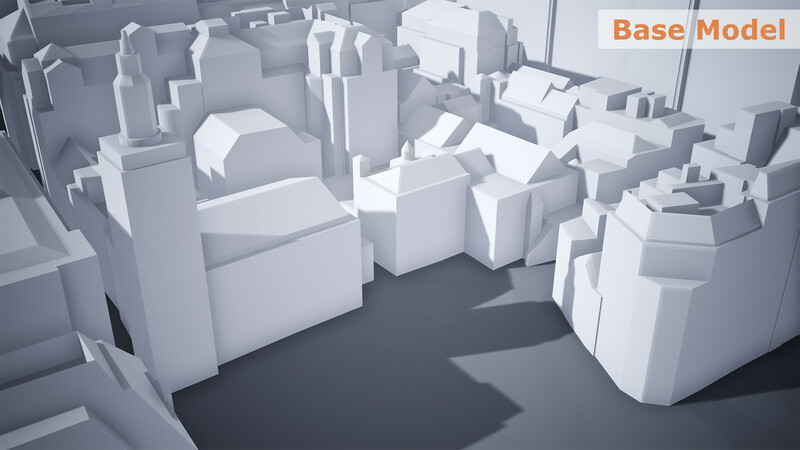 Level 3 3D Models of London are ideal for architects, consultants and planners who require highly accurate and detailed 3D Models. Buy Level 3 3D Models of Central London. Chose either AutoCad, SketchUp or FBX formats. Small size 3D Models in 0.25 km2 tiles from £500 + VAT. Buy Level 2 and Level 3 3D Models of Central London. Chose either AutoCad, SketchUp or FBX formats. Medium size 3D Models in 1 km2 tiles from only £1,000 + VAT. Buy Level 2 and Level 3 3D Models of Central London. Chose either AutoCad, SketchUp or FBX formats. Small size 3D Models in 0.25 km2 tiles from only £250 + VAT. 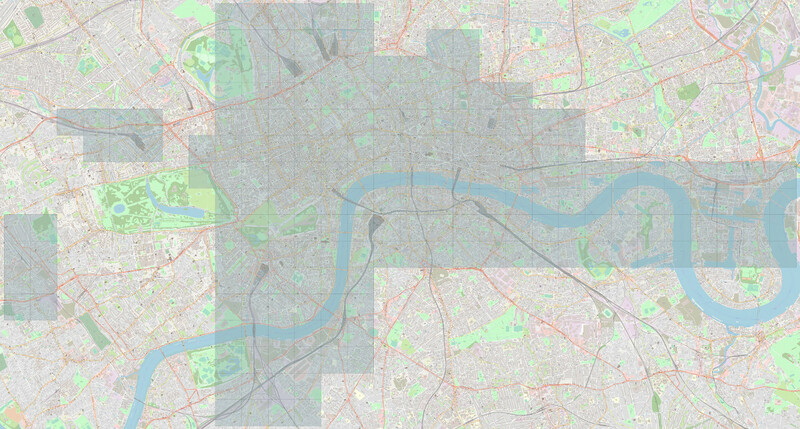 Both Base 3D Model of London and Level 3 High Detail 3D Model of London cover 25 km2 and both are manually captured from 2016 High-Res imagery. Base 3D Model is ideal for backgrounds, Wide area CGIs, videogames and wide area impact studies. 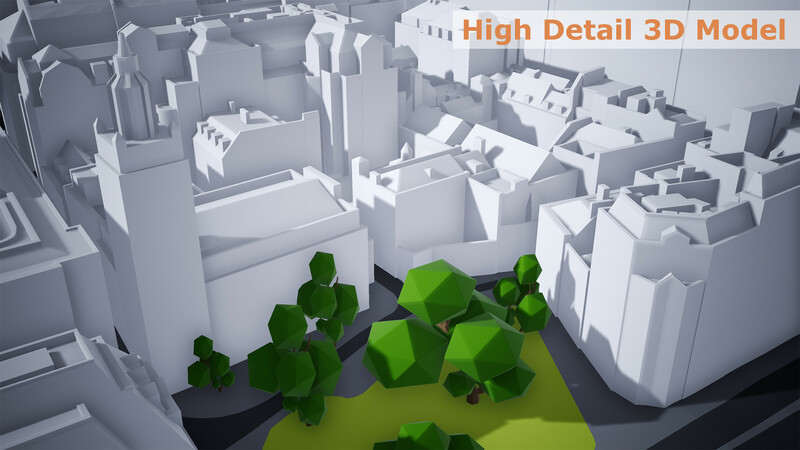 High Detail 3D Model of London is aimed at architects, consultants and planners who require constantly updated, accurate and detailed 3D Model. Manually captured from 2016 High-Res imagery, this 3D Model covers 25 km2. Accurate to 90 cm, delivered as .DWG, .SKP, .FBX and UE4 files. Buy now with 5 year licence for £4,995 + VAT. Manually captured from 2016 High-Res imagery, this 3D Model covers 25 km2. Accurate to 15cm, regularly updated and upgraded. Full licence for £1,000 + VAT / month (36 months licence).